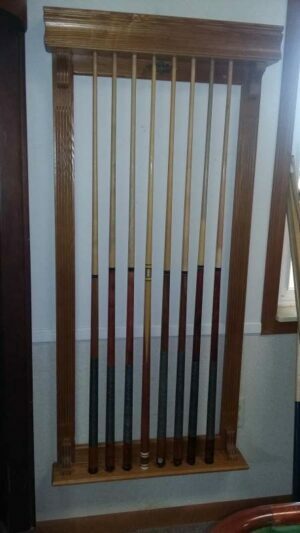 Brunswick Centennial Cue Rack | Holds 8 Cues, Balls & Accessories! 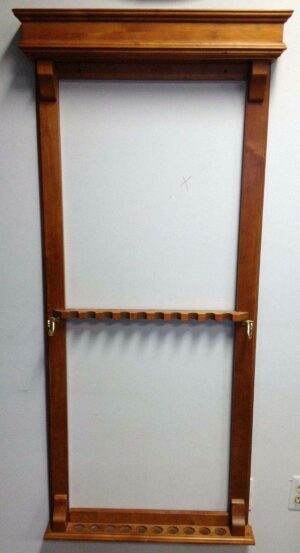 Deck out your billiard room with this gorgeous Brunswick Centennial cue rack made from real Cherry hardwood. 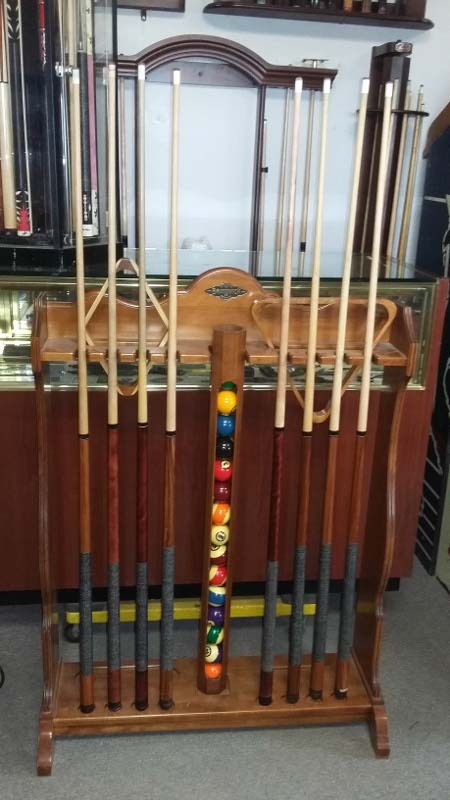 Built to accommodate up to eight cues, a full set of balls, racks, chalk, and brushes oh my! 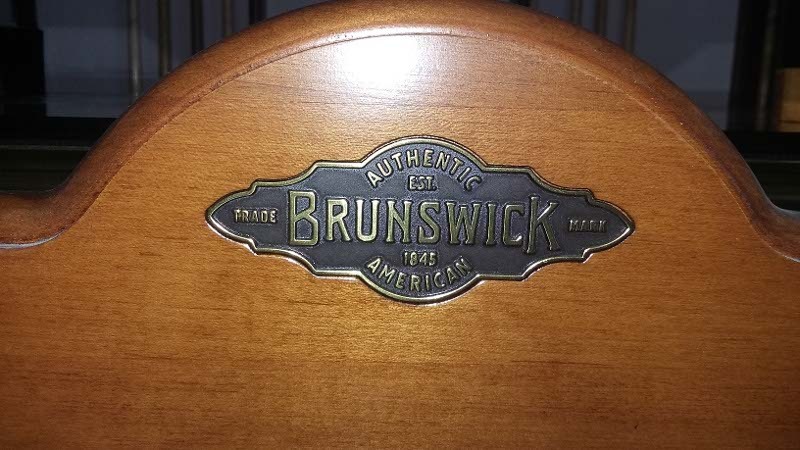 Brunswick really perfected the design of their cue rack in this beautiful Centennial rendition that goes very well with the (ehem) matching Centennial pool table!